Bajaj Allianz Health Insurance Co. Ltd. Bajaj Allianz Health Insurance Co. Ltd.
A joint venture between Bajaj Finserv and Allianz, Bajaj Allianz General Insurance has been providing insurance products from 2001. Apart from health insurance services, they provide a wide range of insurance products such as motor, travel, home and marine insurance. Bajaj Allianz offers a number of health insurance plans for individuals, families and working executives. The plans are designed to provide everyone access to affordable health care services. Claims are settled at a much faster pace at Bajaj Allianz. The time taken on an average to settle a claim is just 1 hour. Bajaj Allianz offers customers assistance on a 24/7 basis. All claims can be settled through this call assistance feature. The Health Guard - Individual health insurance policy provides good coverage and comes with cashless claim facility, free health check-ups, etc. The Critical Illness health Insurance plan provides comprehensive coverage for specified serious illnesses. Coverage for 10 specified critical illnesses. The Extra Care policy is a top up plan that provides coverage over and above the existing health insurance policy. The Global Personal Guard health insurance plan provides international coverage and it is best suited for those who frequently travel outside the country. The incurred claim ratio is defined as the total number of claims that are settled in a particular year by the insurance company. The figure is computed by using a formula and is usually represented as a percentage figure. Toll-free helpline The toll-free helpline offers policyholders the opportunity to resolve their queries at any time of the day without any hassles. Premium calculator Prospective buyers can calculate their premiums using the premium calculator by logging on to their website. One can easily renew their health insurance policy online by logging on to their website. Click on the ‘Renew Online’ option and choose the ‘Health Insurance’ option. Fill in details and proceed to make payment. Bajaj Allianz has a wide network of over 5,700 network hospitals across the city. All policyholders can claim for cashless health care services without any inconvenience at these network hospitals. Identify the network hospital closest to your locality by logging on to their website. Policies can either be withdrawn or canceled if any information provided by the policyholder is untrue, misrepresented or concealed. Is buying a Bajaj Allianz health insurance policy online a good option? Buying a health insurance policy online through Bajaj Allianz is quick and simple. Several payment options are provided to make the payment procedure easy for the applicant. Buying a health insurance plan is also made easy by providing 24/7 customer support. The online buying option saves time and effort and eliminates the need to carry a hard copy of the policy. The entire procedure is mostly paperless and can be finished with just a few clicks. How is the premium amount calculated? What are the customer support contact numbers? How do I find a network hospital of Bajaj Allianz? To find a network hospital of Bajaj Allianz General Insurance, visit the official website, scroll down on the main page, and click ‘Map locator’. On the redirected page, click ‘Find a Network Hospital’. Fill in the requested details – name of the state, name of the city, hospital type, and hospital grade. Then click on ‘Search’ to find all the network hospitals of the area of the selected type and grade.  Can I save tax by buying a Bajaj health insurance policy? Yes, you can avail a tax exemption on the premium you pay for your Bajaj Allianz health insurance. Under section 80D of the Income Tax Act, you can get exemptions up to Rs.1 lakh.